"Paradise City. Now there was a brutal stab of irony if she'd ever heard it. Maybe they'd have to change the name again. Not back to Miami, but something different. Something more descriptive. Very descriptive! This one has to go on my wishlist. My teasers this week are from Drink Slay Love by Sarah Beth Durst and Lowcountry Punch by Boo Walker. Happy reading! I haven't heard of this one. I will have to look into it sometime soon. Great Teaser. Ooooh, that sounds very interesting. Going to have to look into this book for sure. Thanks for sharing. Hmmm....I'm gonna have to check this one out now! Great teaser! 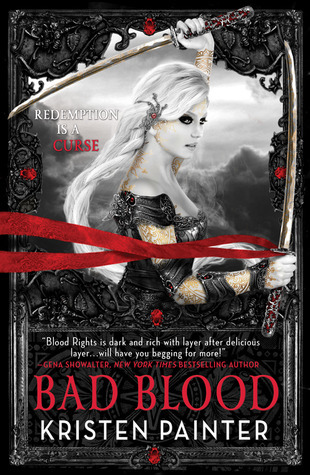 I just finished Bloodrose and it was amazing! Hope you enjoy it! Some crazy twists and a WOW ending! Can't wait to see what you think. I have been in such shock I haven't been able to write my review. I just started A Million Suns today. Great teaser! It has me very intrigued. Nice Teaser! Not a fan of the cover art, but I love Kristen Painter! Gonna go look into this one. Thanks! Miami? Paradise? Ha!Great Teaser though. I'm looking forward to reading your review on this one. LOL! What happened to MIami? :) Beautiful cover! Great teaser, love the cover too!